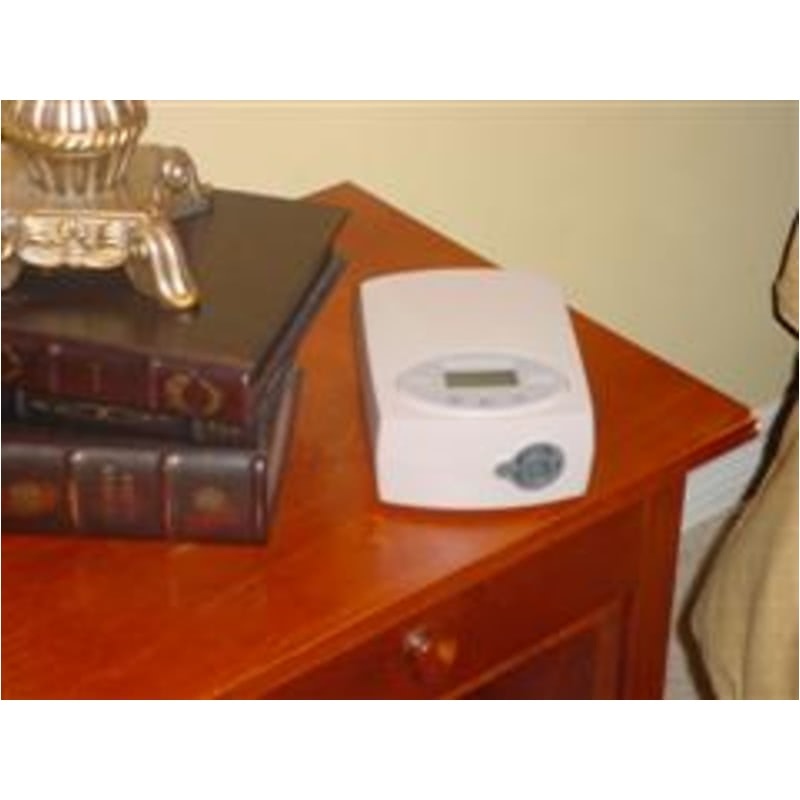 Newer Model Available: Sandman Auto HC CPAP Machine with Built In Heated Humidifier.
" 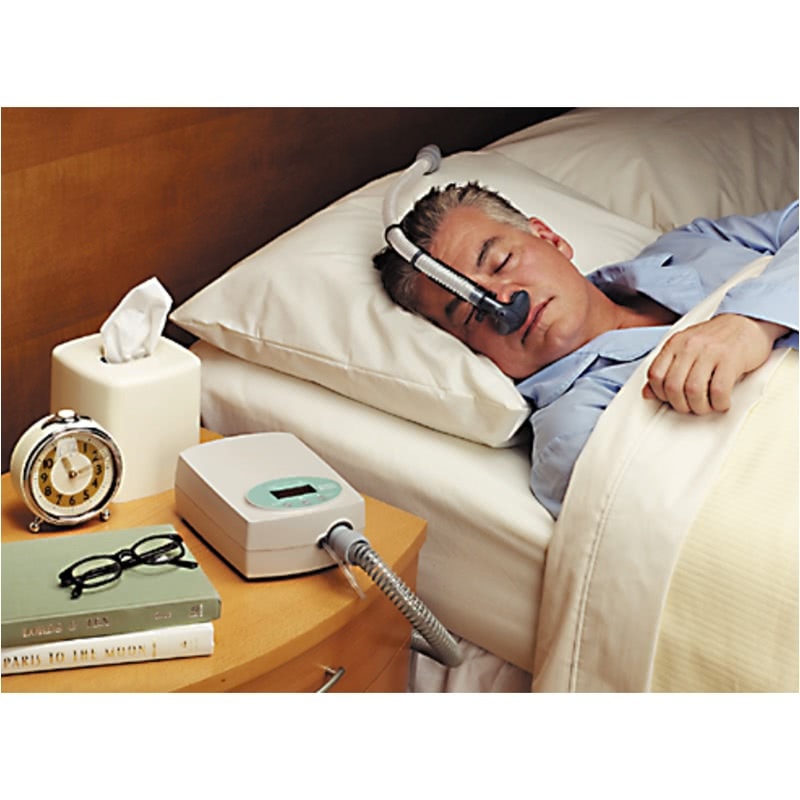 The 420E replaced a CPAP and from first use allowed me refreshing sleep, great product. " " I'll use the 420E as a travel Machine. 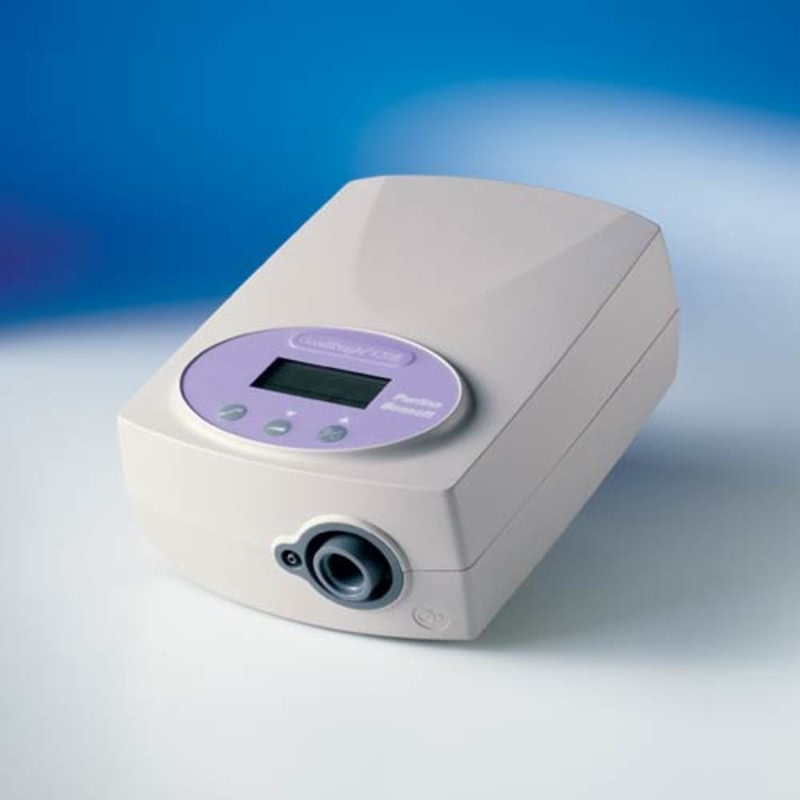 I tried the Machine at home, quieter and more adjusted to my breathing. " 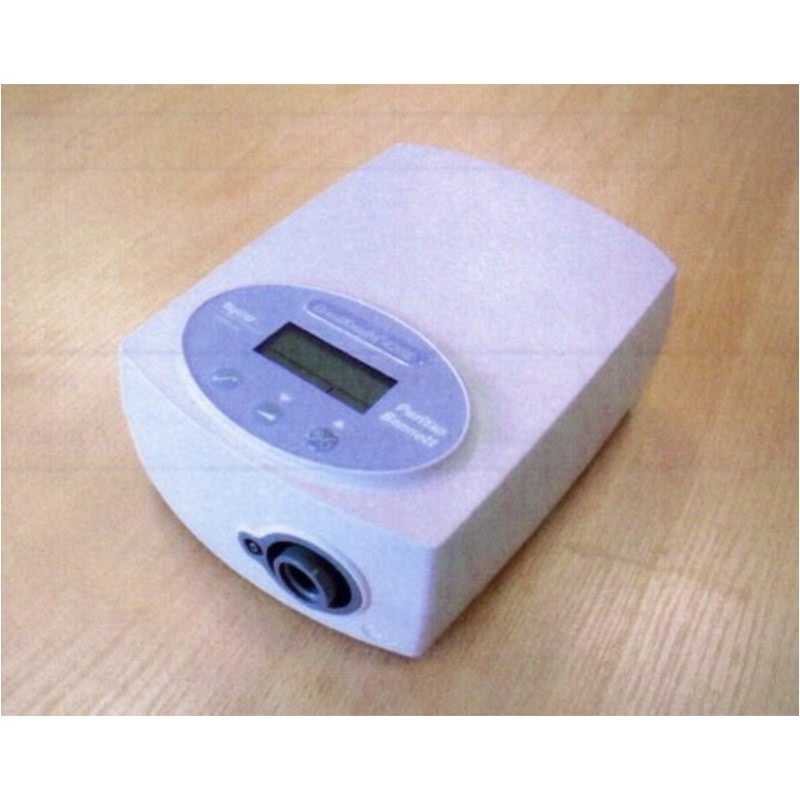 This is an auto-adjusting CPAP machine which is set for a range of pressures, then seeks out and delivers the lowest level of pressure needed to keep the airway open. 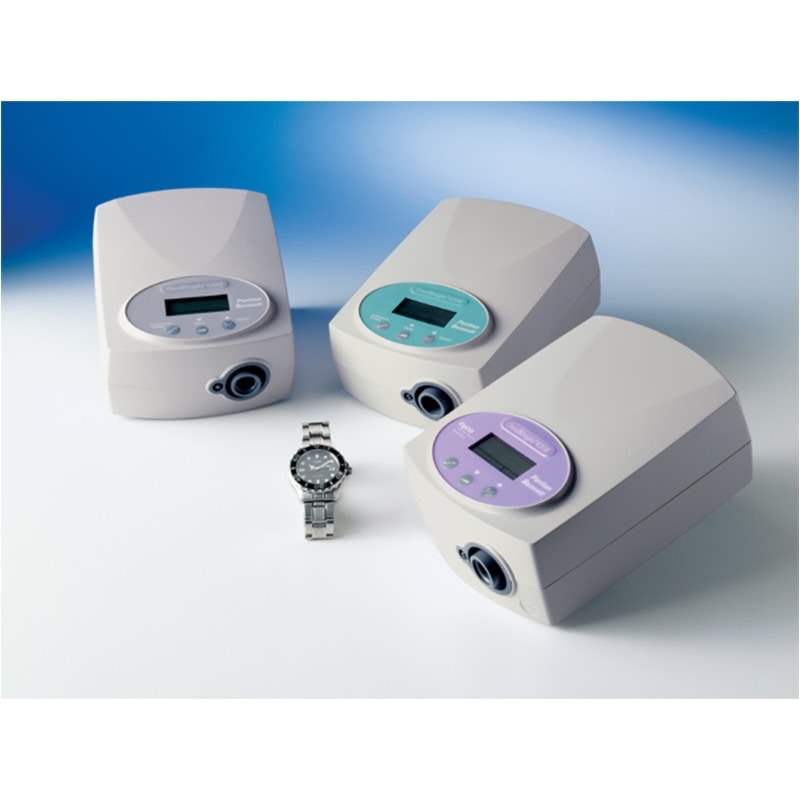 The pressure level will vary as needed, but it will not lower with each exhalation as a bilevel does. 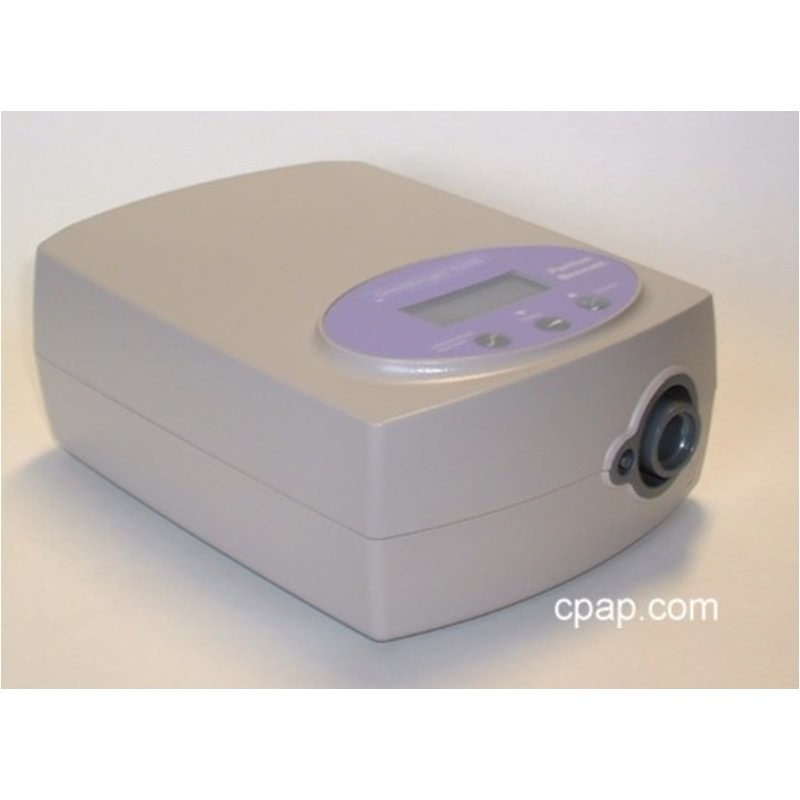 The auto-adjusting CPAPs were designed for patients who are unable to participate in a sleep study or whose pressure needs vary during the night according to their stage of sleep or sleep position. 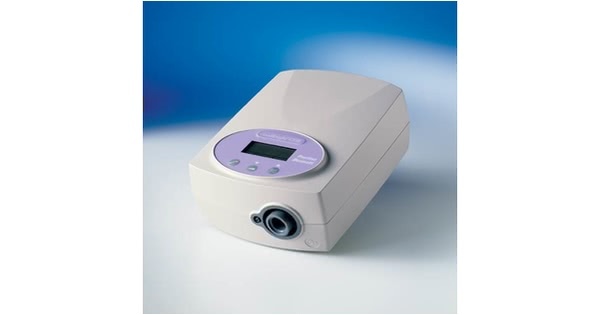 However, any patient will receive very comfortable therapy from this type of CPAP. SilverLining Data Management software option to download compliance and session data. 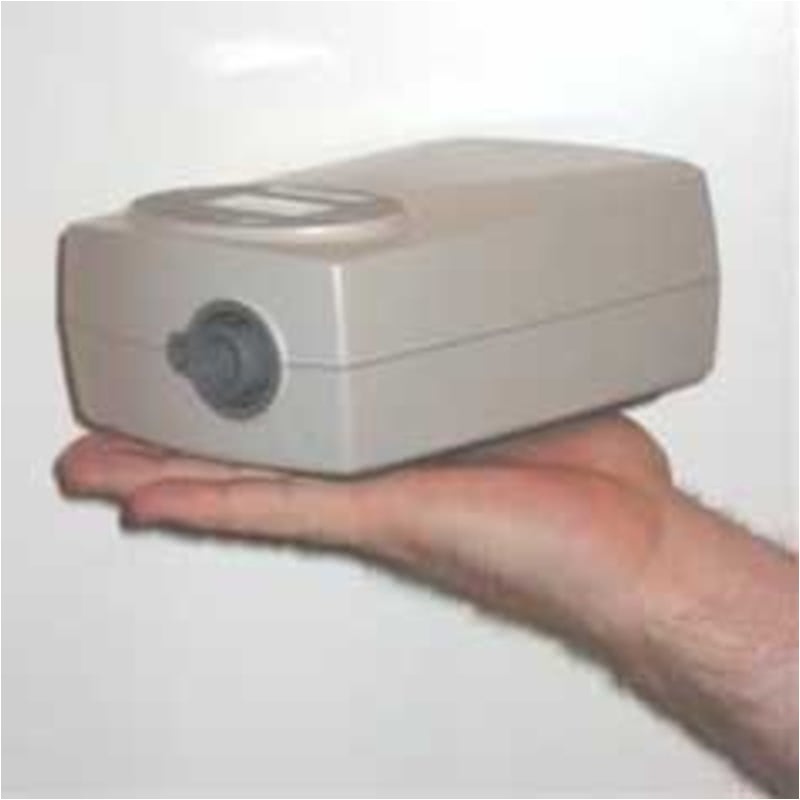 Ramp Time 0 to 30 minutes in CPAP mode; Automatic in Auto mode. 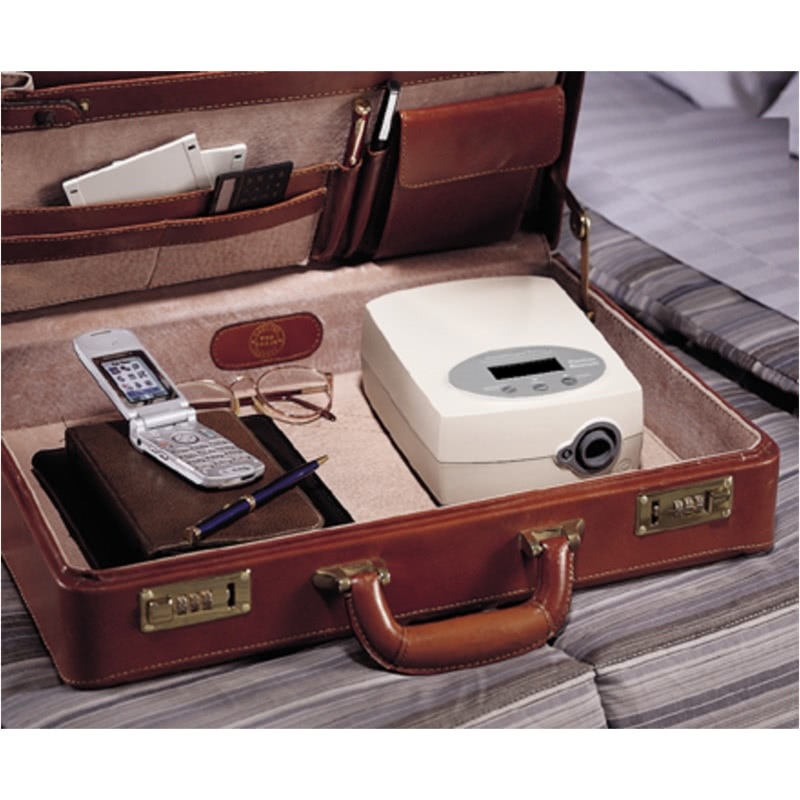 The GoodKnight 420E Auto CPAP is capable of recording information about your sleep, such as snoring or apnea events, as well as pressure delivery response. The information can be downloaded with the purchase of the SilverLining Data Management software and cable. 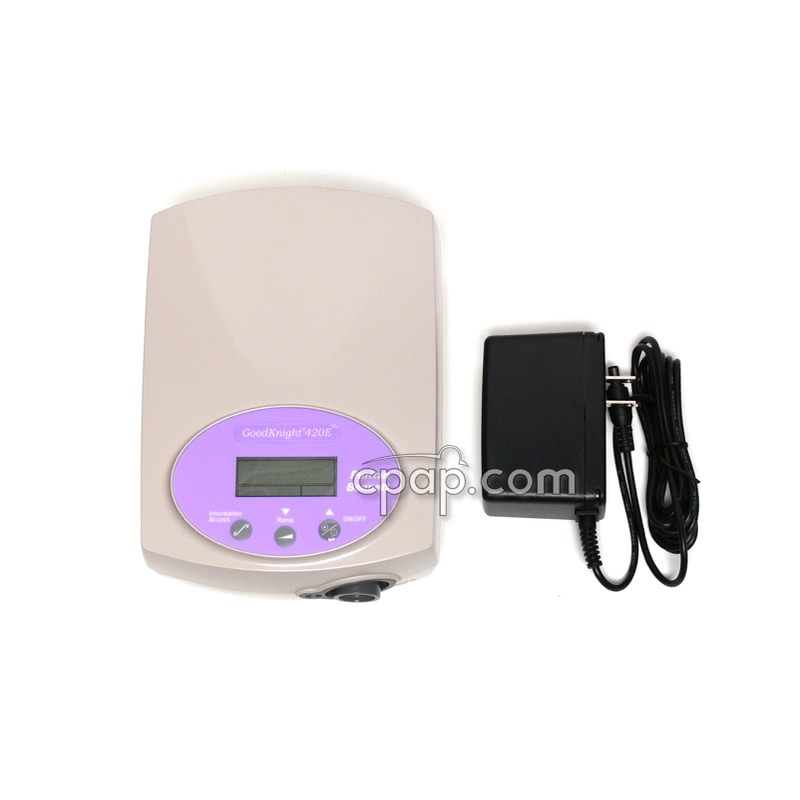 The GoodKnight 420E Auto CPAP can be used with a separate passover or heated humidifier.